A woman who is understood to be Platinium Dogs Club's owner at the pet boarding house site on Jan 3. On Dec 29, the pet boarding house in Bukit Panjang was raided by the authorities following complaints that pets in its care were allegedly mistreated. 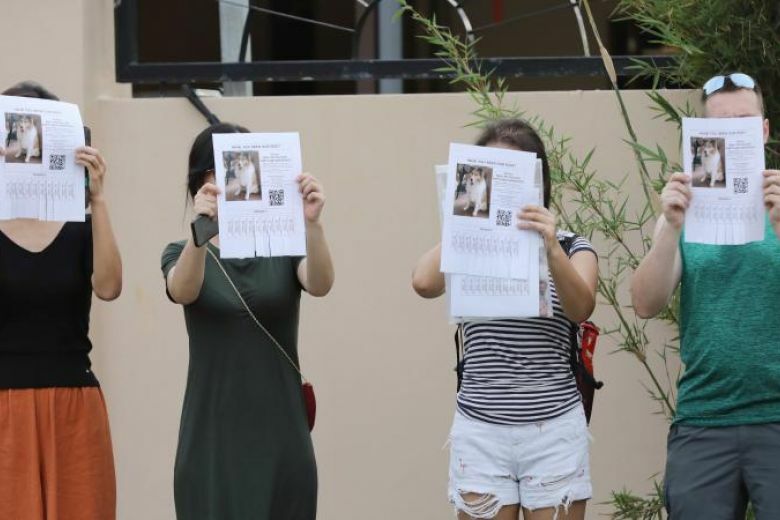 On Thursday, a group of angry dog owners demanding information on a missing dog gathered outside the gates of the pet boarding house in Bukit Panjang. Police said at the time that the 33-year-old driver, and the group of seven women and four men were assisting with investigations.